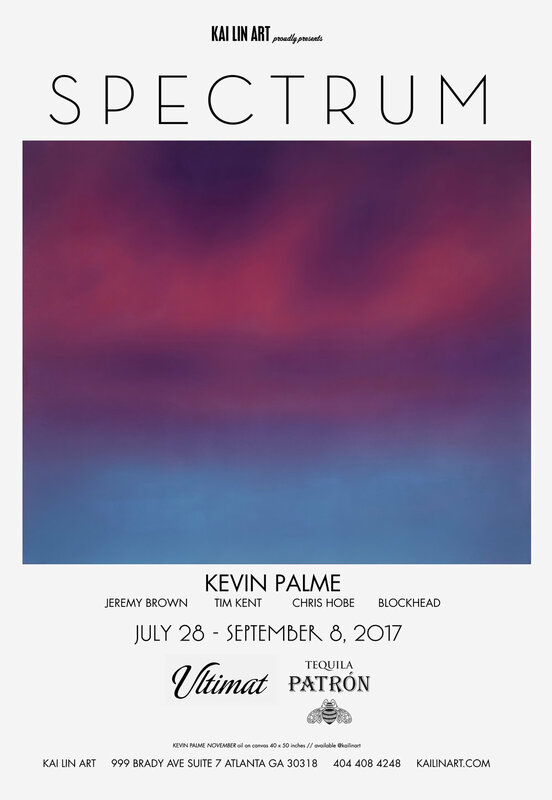 SPECTRUM July 28th - September 8th, 2017 | Kai Lin Art invites Atlanta to our 2017 Summer exhibition SPECTRUM. The fifth show of Kai Lin Art for the year features the works and collaborations of five talented artists: Jeremy Brown, Blockhead, Tim Kent, Chris Hobé, and Kevin Palme. SPECTRUM emphasizes the different ways color and form can evoke meaning, memories, and ideas. 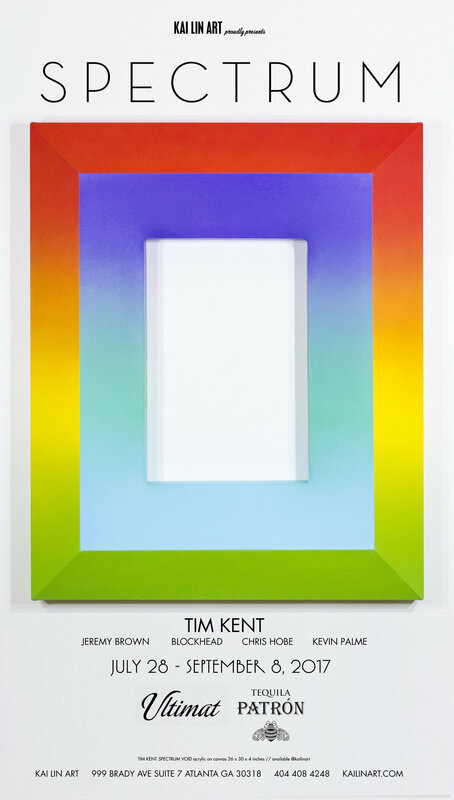 These artists make use of gradients, abstraction and forms beyond the 2D picture plane. Jeremy Brown returns to the gallery with a new series of artwork. These new piece - informed by Brown’s previous layed resin works - essentialize the artist’s philosophy of simplicity and kindness. Inspired by minimalism, raw materials, and the use of created shadows, this body of work is stripped down to the roots. In life, simple & spontaneous kindness is key: the root of something much bigger and louder. Popular and prolific Blockhead (AKA Chris Skeene) showcases a brand new series of his iconic square headed sculptures for SPECTRUM. Skeene’s love of collectible and limited sculptural toys such as Kid Robot and Pez collections influences his approach to the hand-sculpted and carefully hand-painted characters he brings to life as Blockheads. 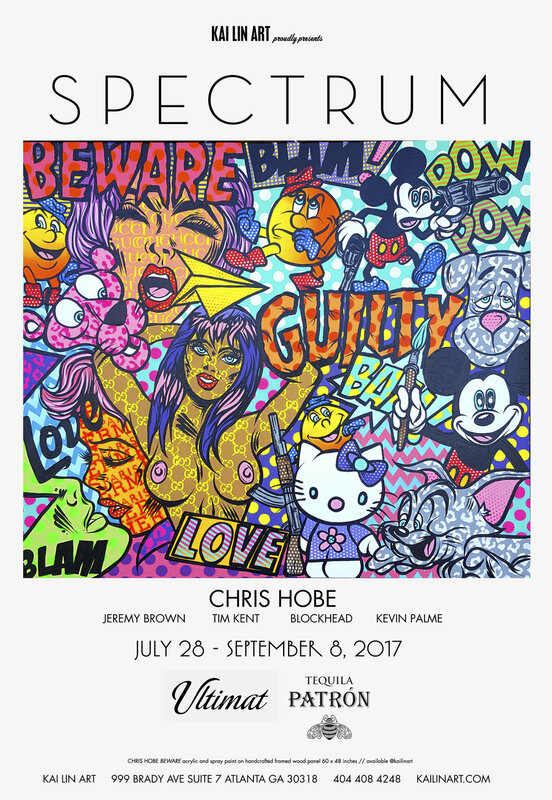 California born pop artist, Chris Hobé also known as ArtRevolts creates a box for the world to think outside of. Hobés’ uses vibrant color combinations, eclectic and popular culture references to make his pieces. Hobés’ multi-panel, geometric compositions combine different layers of iconic and nostalgic imagery from comic books, music, logos, and pop patterns. Kevin Palme paints abstracted fragments of memories and feelings with a reverence for impermanence and jewel-like hues. His paintings resemble a distant landscape, just out of focus and out of reach. The artworks take their titles from haiku poems and intended to read in a similar way, concise and fluid, open to each viewer's personal interpretation.